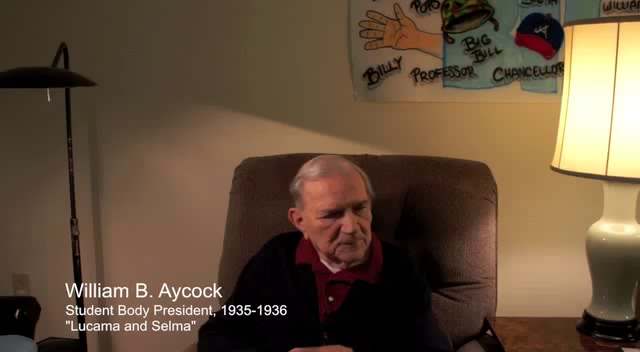 William Aycock discusses his upbringing in the North Carolina towns of Lucama and Selma, and describes how his father inspired him to pursue a career as a lawyer. 00:00:05.125 which is nine miles south of Wilson. 00:00:20.016 for farmers to come in and buy everything from shoes to fertilizer. 00:00:32.861 and after that we moved a little further south to Selma. 00:00:51.049 and held court in Smithfield, which is the county seat of Johnston County. 00:01:05.362 at school - public school. 00:01:14.605 what they call recorder's court. I guess now they call it district court judge. 00:01:20.222 I went to court every time I got a chance. 00:01:39.762 and he gave me a seat up where they were. 00:01:54.760 and so I decided I was going to be a lawyer too. 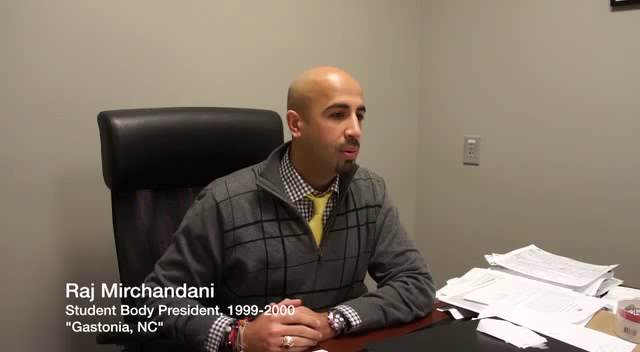 Raj Mirchandani discusses his hometown of Gastonia, NC, where he's spent nearly all his life, both before and after college. 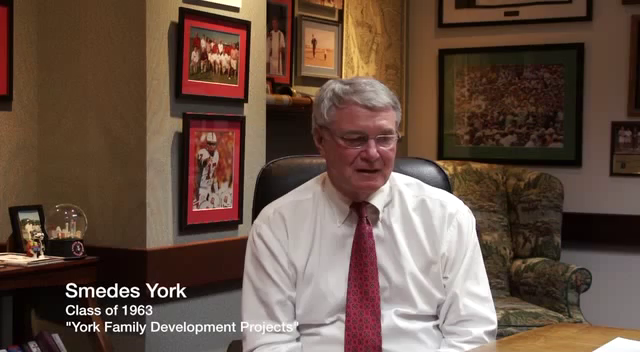 Smedes York talks about Raleigh, development, and Cameron Village. 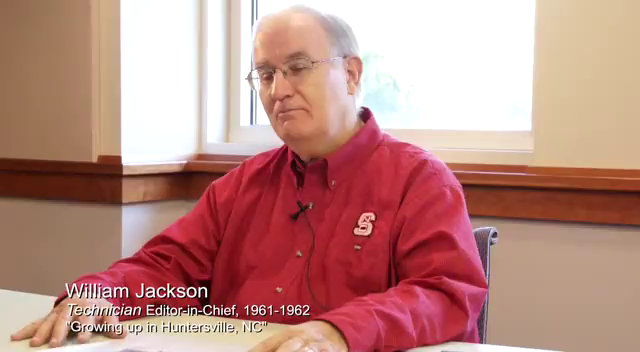 William Jackson discusses growing up during the 1950s in this North Carolina town. 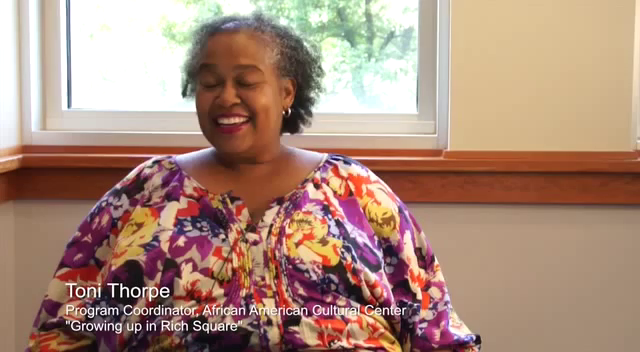 Toni Thorpe, the program coordinator of programs at the NCSU African American Cultural Center, describes that it was like growing up in Rich Square, North Carolina. 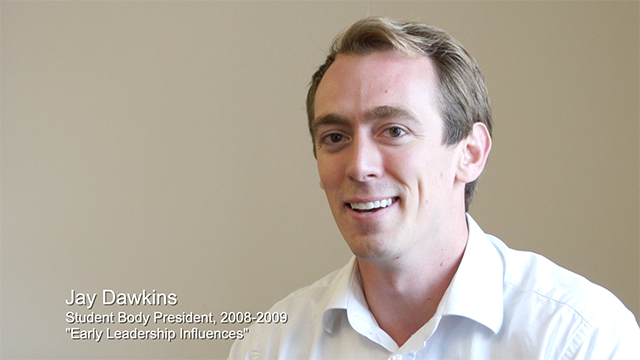 Banks Talley talks about becoming assistant dean of students at NC State. He had been a student at the University of North Carolina at Chapel Hill, but he was encouraged to apply for the NC State job by Bill Friday. 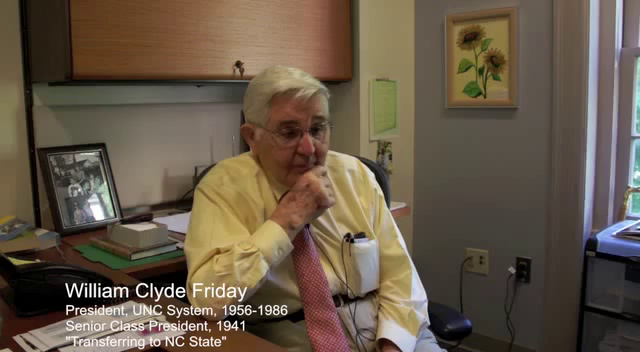 William Friday describes his transition from Wake Forest College to NC State College and the difficulties associated with attending college during the Great Depression. 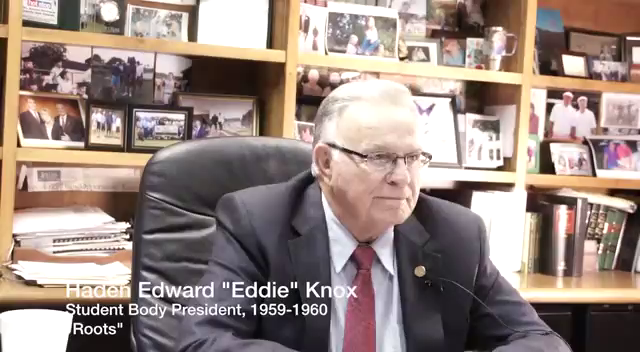 Haden Edward "Eddie" Knox discusses growing up on a farm near Davidson, NC. 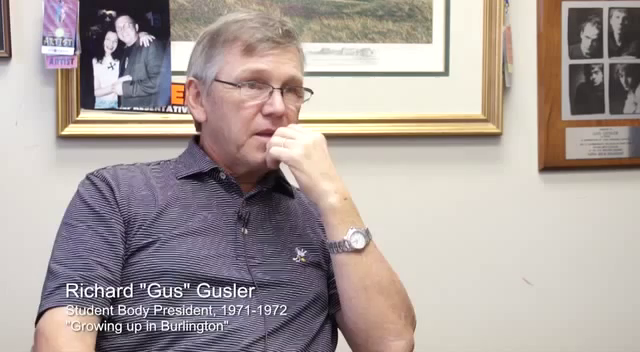 Gus Gusler describes what it was like to attend high school in Burlington, NC during the time of segregation. 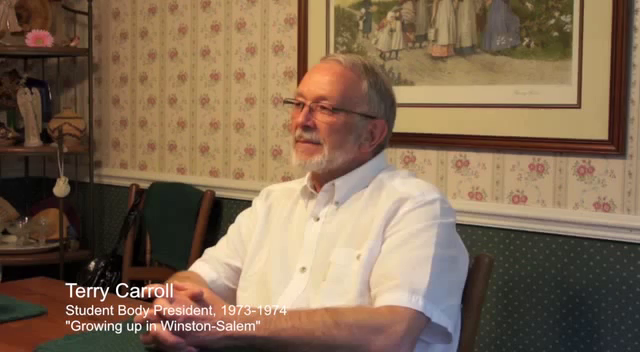 Terry Carroll describes growing up in Winston-Salem, North Carolina. 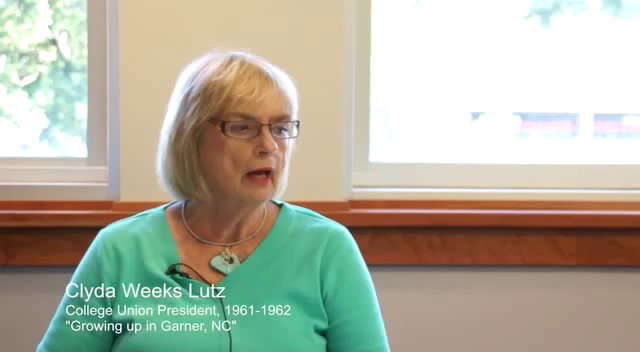 Clyda Weeks Lutz discusses growing up in the country near Raleigh. 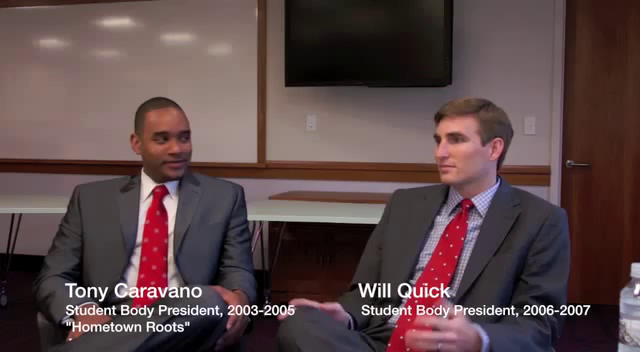 Will Quick and Tony Caravano describe their hometowns and how they ended up at NC State as out-of-state undergraduate students. 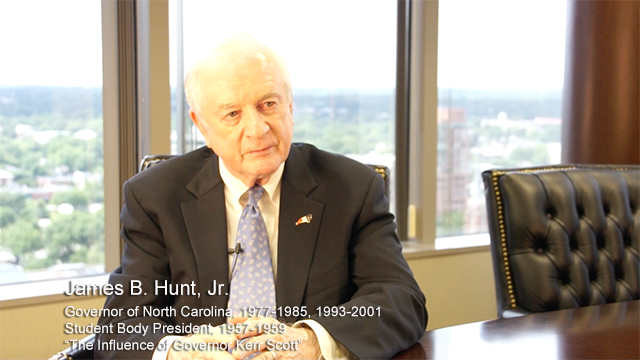 Governor James Baxter Hunt, Jr. reflects on how his early impressions of Governor Kerr Scott taught him how understanding and utilizing the political system can improve citizens' lives. 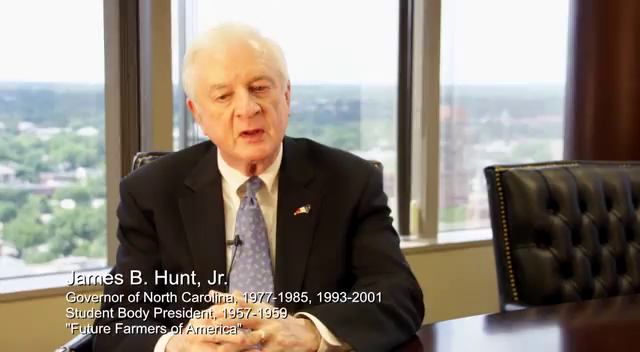 Governor James Baxter Hunt, Jr. describes his experiences in high school as a member of the Future Farmers of America (FFA) and how the skills he acquired in FFA assisted him when he ran for student government at NC State. Jay Dawkins recalls his childhood in Fayetteville and the leadership influences of his father and grandfather. 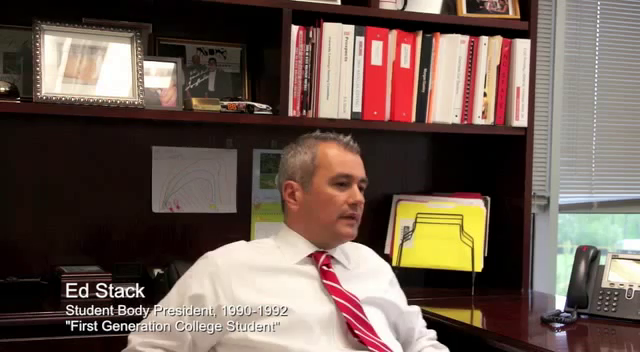 Ed Stack discusses growing up in Rowan County, his family, and being encouraged by his parents to become the first college graduate in his family. 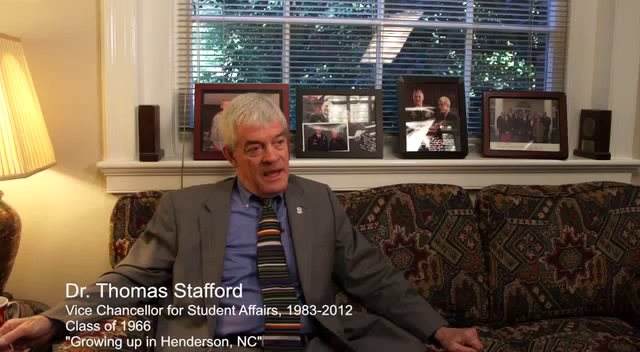 Dr. Thomas Stafford describes what it was like to grow up in Henderson, NC and recalls what it was like to live in a segregated society. 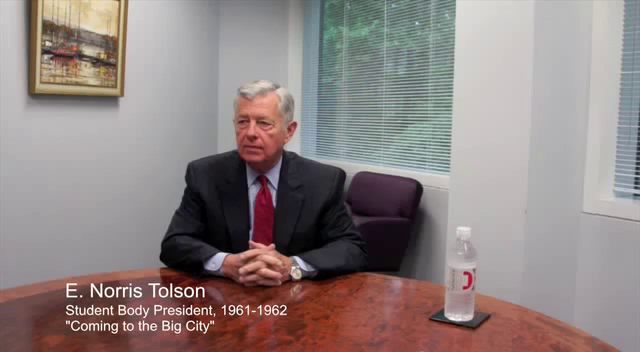 "Coming to the big city"
Norris Tolson describes growing up in rural Tarboro, NC. Governor James Baxter Hunt, Jr. discusses his father's time as a student at NC State during the Great Depression.